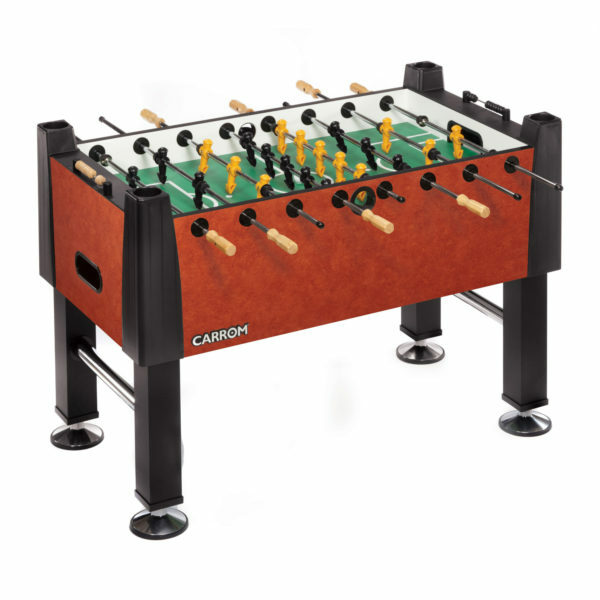 A CARROM® Foosball Table is designed to stand the test of time for durability and play value in your family’s home with unsurpassed CARROM® quality. The reinforced play surface ensures a flat field for consistent ball roll without the warping effect of games made with lesser grade materials. Superior quality triple chrome-plated steel rods paired with stay-true rod bearings increase response speed and provide self-lubrication with long lasting durability. 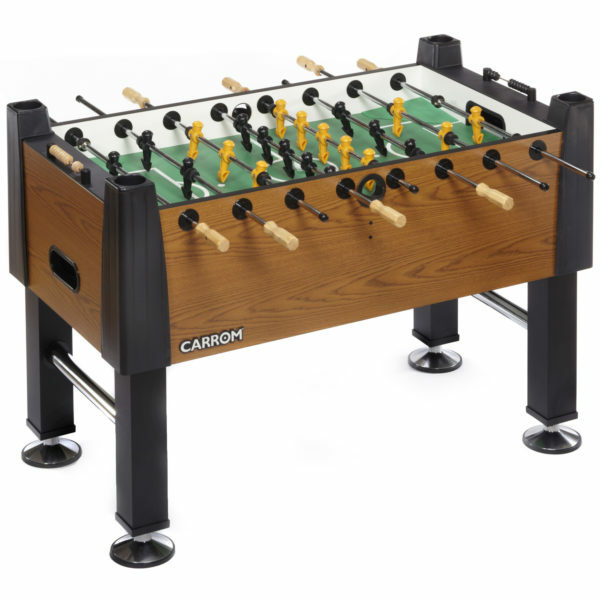 CARROM® quality design and furniture grade components set this premium Foosball table apart as a handsome and inviting addition to any living environment. PLAYERS: One set of hand painted , realistic players with pointed, cross-hatch toe design for superior ball control. 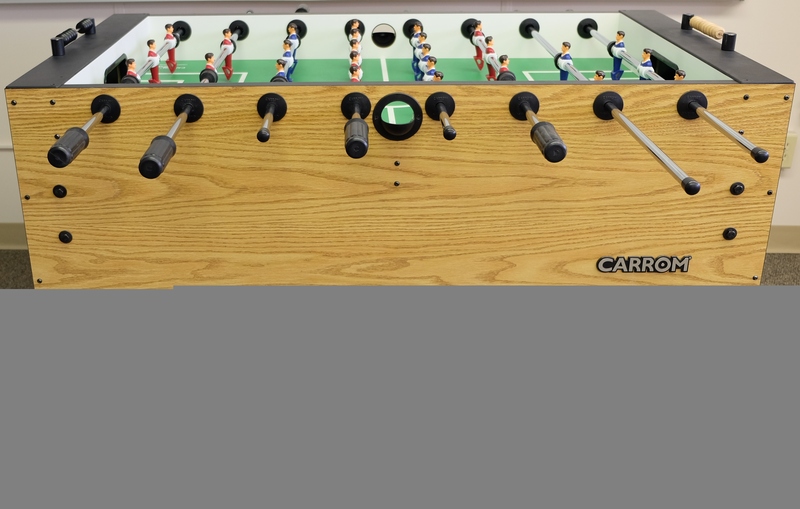 MISCELLANEOUS: One or three goalie play; decided when setting up game, corner ramps are included for single goalie assembly, cushioned rubber handles allow for precise player control, high impact plastic ball return. 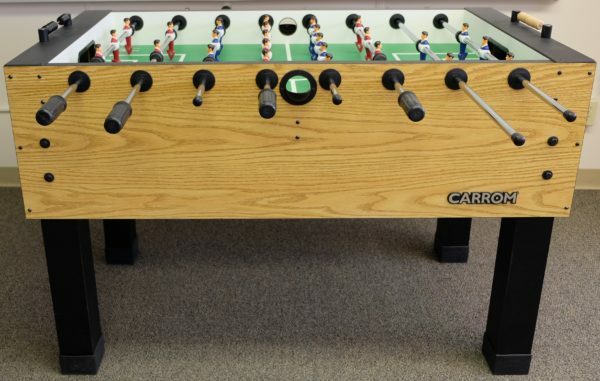 Game will arrive mostly pre-assembled by professionals at the Carrom Company. Our new instructions make it easy to attach the legs, rods, players and drink holders. Spend more time playing, less time building! Special Shipping Information: Our pricing includes delivery and lift-gate may be added for an additional charge. The shipping carrier will contact you to arrange delivery time and ensure someone is present for delivery. Shipping charges are non-refundable. Inside delivery is not included with free shipping. Multiple people may be needed to bring the game inside. Contact us at 800.223.6047 ext. 230 if you have any questions.